I’m executive coach Lindsay Wittenberg, and I’m the Founder and Managing Director of executive coaching consultancy LWL, facilitating senior people to become more aware, fulfilled and effective. Through enabling actionable insights my coaching equips leaders to become who they really are and so to release more of their talent and potential. My professional focus is authentic leadership, career development and cross-cultural effectiveness in contexts of change, pressure and complexity. My coaching is underpinned by a psychological approach, by mindfulness (moment-to-moment awareness of one’s experience without judgment), by a systemic perspective and by my belief that we all release our capabilities by being true to who we are and effectively managing what gets in the way of that. 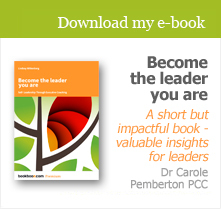 As a leader, you’ll know how relentless the challenges facing you and your organisation can be. You also know these external pressures demand more and more of you, not just technically, but at a deeper, personal level. If you choose executive coaching with LWL you will enjoy a confidential, personal and creative workspace where you can gain insights and find the resources you need to meet new challenges with renewed confidence, energy and impact. You’re already a high achiever. However, the rapidly changing and increasing complexity of today’s global economy can demand more of you as a leader than you may sometimes know how to give. LWL makes a safe space for you in the eye of the storm. Here you will reinvigorate your learning and rediscover your inner resources. You’ll shift from ‘doing’ leadership to being an authentic leader who inspires others to follow and to take on leadership themselves. As a leader you may feel there’s scope to go from good to great. Equally, when you hit discomfort or discord you may feel your personal limits intensely. At LWL we enable you to step back from the pressure and explore your potential. With our experience of coaching senior people in some of the largest companies and public agencies in the UK and internationally, you can rediscover your values, strengths and drivers with renewed energy and clarity. Strategies that worked in the past may no longer be working for you. Around you outsourcing, downsizing, diversity, pressure and globalisation have radically changed the workplace. As your executive coach I will work with you to unlock your authentic leadership style and career focus so that you aim high, hold yourself to your personal and professional standards, and broaden your insight into what shapes your organisational and personal performance. My aim at LWL is to liberate you from the shackles of your perceived limits so you can find new clarity, purpose and inner strength. You will discover more of who you already are – and a new-found ease that allows you to lead with confidence, inspiration and integrity. My coaching aims to equip senior people to gain self-understanding and release their capabilities so they can make sustainable changes in thinking, behaviour and effectiveness.